When you seek a professional whitening treatment, your goal should be to enjoy more than just a mild improvement. Unfortunately, whitening toothpastes and store bought whitening products may not be capable of delivering the kind of results you hope to attain. If you want to make your smile significantly brighter, take time to discuss cosmetic dental work with your dentist. A professional whitening treatment can make remarkable improvements to how you look. The bleaching agents your dentist can provide can remove stains that over the counter whiteners leave behind, and lead to bigger overall changes. You can discuss an in-office treatment, or take home a kit and perform treatments yourself. Patients can choose between a treatment provided by their dentist, or a kit they can take home. At-home whitening kits allow people to treat their teeth at a convenient time, which can be preferable for someone with a hectic schedule. You can also choose between two different in-office procedures, which are able to deliver great results in a single appointment. Not all matters concerning a person’s smile color involve teeth stains. 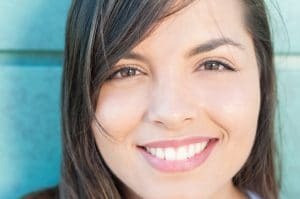 If you have an internal problem that makes your teeth appear dull or discolored, your dentist might instead recommend porcelain veneers to address this concern. If you undergo cosmetic dental work, you can look forward to an improved smile. However, poor care after your treatment may lead to new issues affecting how you look. Make sure you keep up with effective daily dental care after a procedure, so you can keep your smile bright. You should also see your dentist for regular exams. Dr. Young is proud to offer help to patients interested in making their smiles brighter. Our practice offers a range of impressive cosmetic treatments, in addition to preventive and restorative care. We welcome patients from Breaux Bridge, Broussard, Scott, Youngsville, and surrounding communities. To learn more, contact us today at our Lafayette, LA, dentist’s office at 337-237-6453.